Although Christmas brings lots of happiness for the people celebrating it, but it can be very stressful in terms of finding everything on time. Finding a unique gift becomes the most hectic job as people can’t figure out what gift should be presented to their dear ones on this special occasion. Choosing a gift for woman is quite easier than a man as a large variety of Christmas gifts is available in the market. When it comes for women, there is a wide range of perfumes, flowers, clothing, decorative items etc. 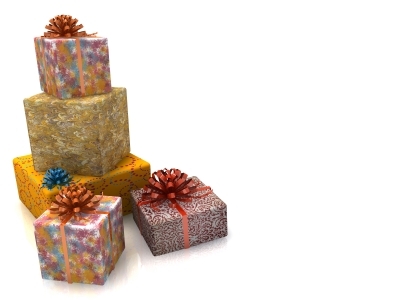 Unlike women, men do not have that much variety of gifts. Many people end up giving men handkerchiefs, ties, socks, and dresses only. However, you can find some really unique Christmas gift ideas for men from online stores that are offering trendy gifts for them. Give them something different this Christmas that they would absolutely appreciate a lot. Some of the top Christmas gift ideas for men will always be electronics. These days, there are lots of devices out there in market like iPod, Tablets, Smartphones, Music systems etc. Most men will love to buy such items but could not afford them due to other expenses. If he loves music, then offering him a home theatre or music system for his car, or even an mp3 player can bring a smile on his face. If your man is a businessman, then giving a useful Smartphone or tablet that help him in his daily work would be a reasonable gift for him. Perfumes or cool body sprays are ever popular gifts for men and will always be perfect for all sorts of relations and occasions. Just like music, you can give pleasure to your man by presenting the perfume of his choice making him to like your determinations. This will be expressed as a sign of your love and care for him without irritating him much. Men also love to get customized gifts that are especially made for them according to their personality. You can gift him a personalized gift basket with lots of useful items like hankies, socks, cell phone accessories, a chocolate box, some DVD collection etc. A gift basket can contain a variety of small things that can be useful to him in his daily routine like a beautiful towel, room fresheners, shaving and bathroom kit. In a customized gift, you can also delight him by giving a gift canvas of memorable collection of photos. Men are always busy in their work that they do not have enough time to get finer detail accessories like wallet, cufflinks, watch etc. They normally like to look handsome and smart but can be possible overlooking about the finer details sometimes. So presenting a decent wallet with enough room for storing many cards would be a great Christmas gift idea. Cufflinks are also a great gift for men as it is a finer detail accessory which adds a trendy change to a shirt. If you are looking for an intimate or more personal gift you could get him a shaver, or an elegant watch or key chain etc.